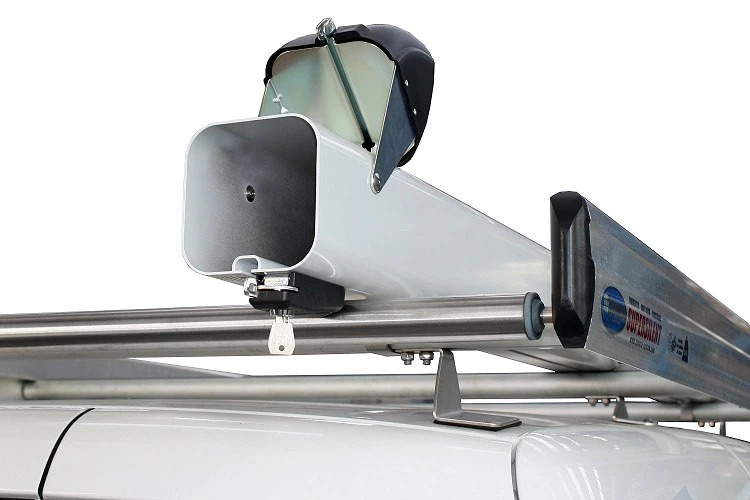 The new roof-top mounted tube carrier is made of solid (yet lightweight) aluminum, the tube opens at both ends thanks to steel and glass fiber reinforced plastic flip-open end caps. 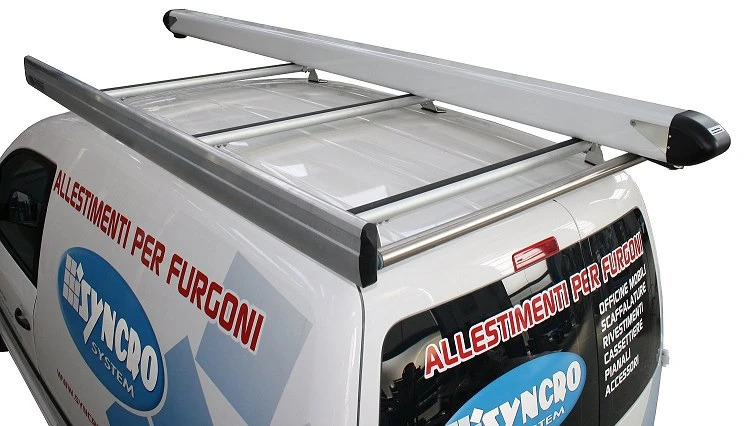 The cone shaped end caps assure maximum aerodynamics and give the carrier its sleek modern lines. 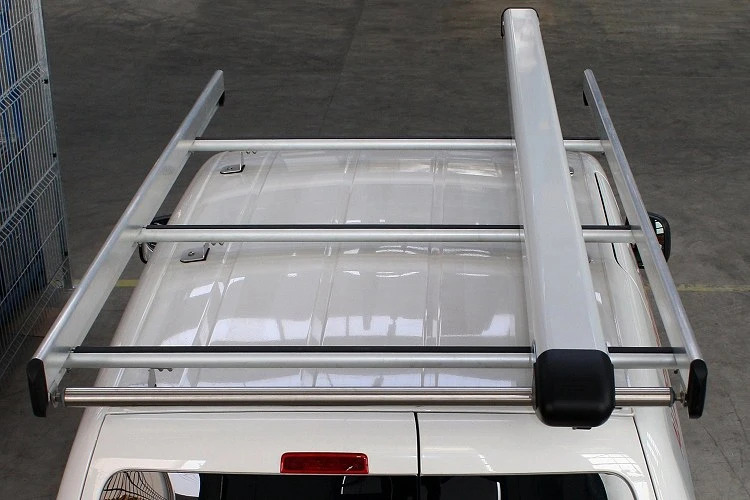 Both caps have individual locks and come with their own keys. 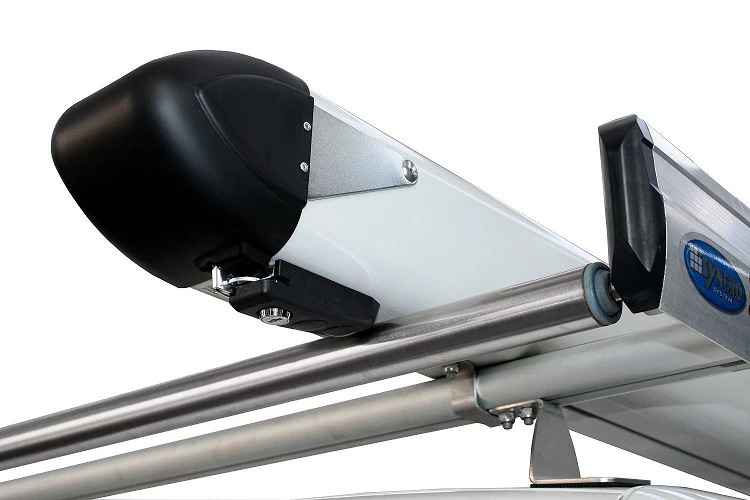 The carrier is 3 meters long, while the 130 meter section allows transport of up to 50 15 mm tubes, or a variety of pipes, rods, or other elongated objects. 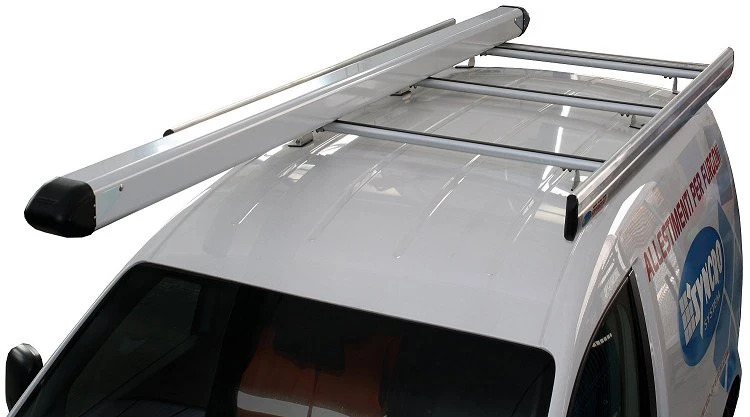 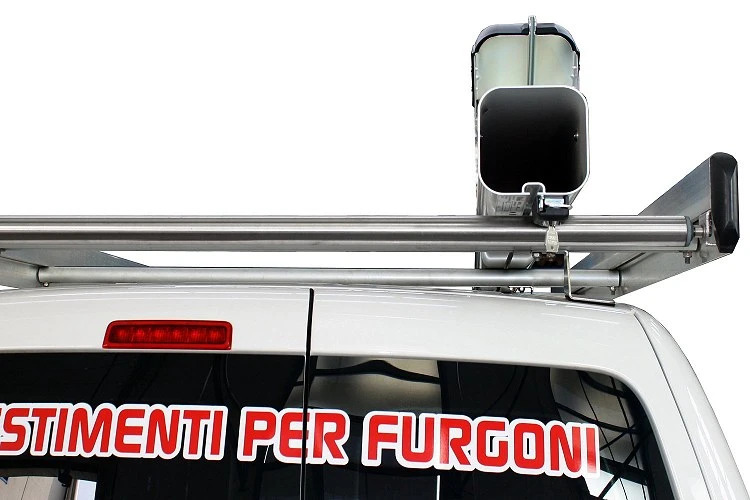 It can be mounted on any van model or make and can be fixed to any Syncro brand roof rack system.